Subject of sale is screw shield with assembled connectors. SKU: 35. Category: ATtiny85. Tags: ATtiny13/25/45/85 PCB, ATtiny85, ATtiny85 PCB, Screw shield ATtiny 25 / 45 / 85, Screw shield ATtiny85. 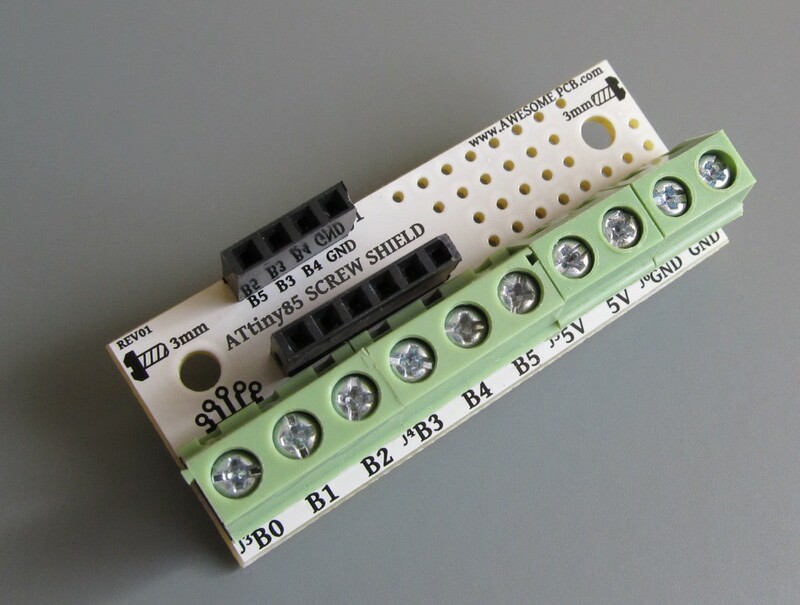 SCREW SHIELD it is a dedicated shield for easy screw the cable to ATtiny25/45/85 PCB. Screw shield make it easy to screw you aplication with ATtiny85. 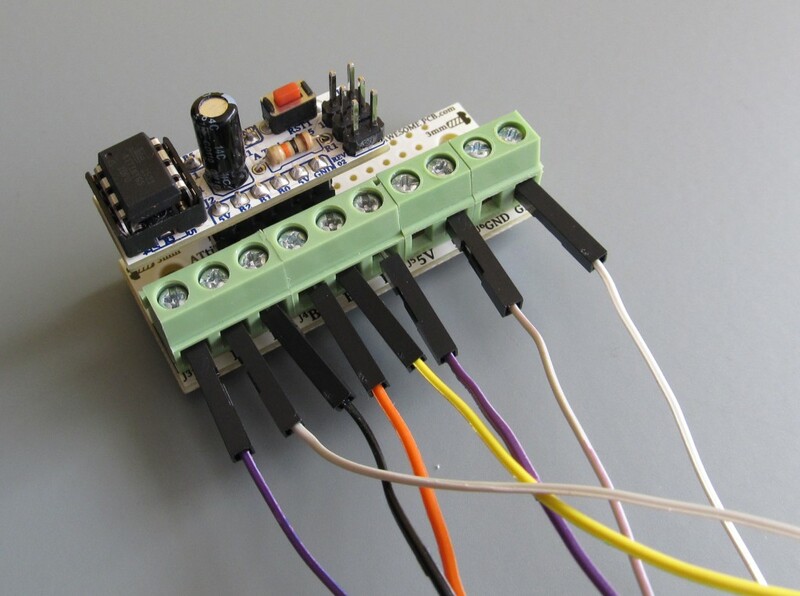 After developing on breadboard you can be easily adapt your prototype in final application. In addition you can easy place your custom ciucuit on prototyping area. Two 3.3mm hole allowed you to place shield wherever you want. Prototyping holes area with rast 100mil (2.54mm) can be use for temperature sensor, LCD, Wi-Fi module.